Many individuals believe that Chapter 11 bankruptcy is only for businesses and big corporations. This simply is not true. If you meet certain debt requirements, Chapter 11 may be the best option for your individual bankruptcy filing or you may have to file a Chapter 11 because your debt exceeds the limits under Chapter 13. At the New Jersey law firm of Scura, Wigfield, Heyer & Stevens, LLP, you can rely on our attorneys to guide you through every option available in order to help you get the fresh start you need. If you are weighing all of your options for debt relief and are unsure if a personal Chapter 11 filing is right for you, contact a Chapter 11 bankruptcy attorney in New Jersey for a free initial consultation. How Can Individuals File Chapter 11 Bankruptcy? There are very specific requirements that an individuals must meet in order to file for Chapter 11. If you have more than $1,149,525.00 for secured debt and $383,175.00 in unsecured debts, you may qualify or not be eligible for a Chapter 13. After qualifying, you will begin a debt-restructuring plan that will pay down some debts and eliminate others over a 60-month period. Chapter 11 is a common filing for businesses in debt, but it is also possible for you, an individual person, to file for it as well. We can help you through the complex process. By thoroughly investigating your unique financial situation, our Hoboken and Wayne New Jersey lawyers will be able to help you determine what chapter of bankruptcy is right for you. Chapter 13 and Chapter 7 are the more well-known filings, but may not fit your situation perfectly. 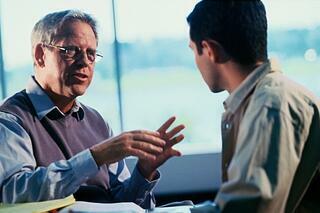 We can analyze every option and even work with you regarding non-bankruptcy options. In the end, if a Chapter 11 filing fits you best, we will let you know. You can rely on us for straightforward and practical advice through your financial hardships. For answers to all of your individual Chapter 11 bankruptcy questions, contact a Chapter 11 Bankruptcy Attorney for a free initial consultation.